Kelly down from a right prior to the stoppage. 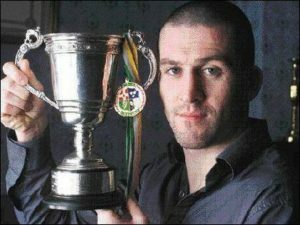 vacant Celtic Warrior light-welterweight title. Kelly cut below the right eye. Stopped by referee, Ivanovs down in round 1.